Hi! I'm Megan! I'm a recent Popular Music graduate from Goldsmiths University in London and I'm currently living in Kemptown, Brighton. I'm an experienced dog sitter/walker and have had a few regular clients in Brighton over the past year. I'm currently studying Level 3 Animal Care and Canine Behaviour Training. 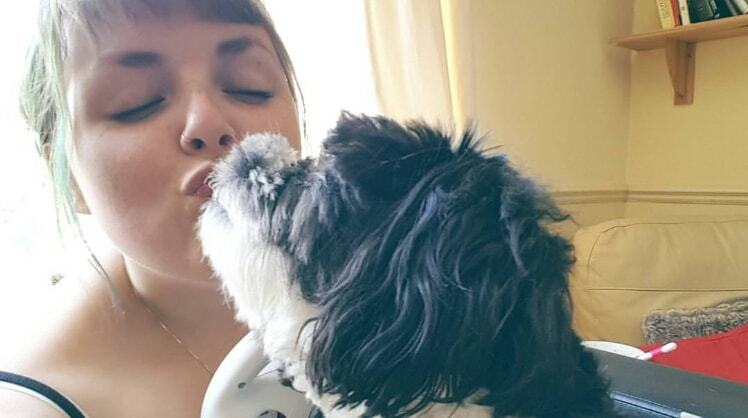 I've owned dogs since I was 3 years old and have a strong love for dogs (animals in general) so be sure your pet will be super spoiled with cuddles and treats while they're with me! At my parents' home in Cornwall we currently have a 2 year old Sprocker Spaniel who is crazy, but I miss him dearly! I have also had Border Collies in the past and have been recently looking after a daschund puppy (very hard work but so worth it!) and a Podenco rescue dog, so I'm experienced with quite a few breeds, but obviously would be willing/excited to look after different ones.